Last week Gearbox announced a delay in the release of the latest game in the Duke Nukem series: Duke Nukem Forever. Originally set to be released in North America on May 3rd, fans will now be waiting until June 14th to get this game. Gamers have been waiting about 14 years for this game, so, what's another month, right? 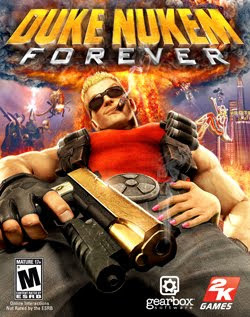 Duke Nukem Forever will be releasing on PC, Xbox 360 and PS3 on June 10th internationally and June 14th in North America.